Welcome to the Trenton Punk Rock Flea Market! We work hard and we play harder which is why quality merch that keep you feelin' fine is as important to us as it is to you! best in locally-sourced, fresh, creative, and most importantly, delicious food offerings to each of our flea markets. 260 tables. Items being sold range from original art and all things vintage to independent clothing lines, taxidermy and plenty of other unique collectibles and curio. 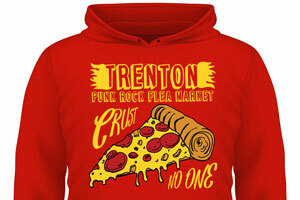 The Trenton Punk Rock Flea Market is held up to five times per year and is hosted in Trenton, New Jersey as well as Neshaminy Creek Brewing Company in Croydon, PA! the markets, art gallery openings, live music shows and more we currently have in the works!